The NotarizedTax &Business Registration documents. The fixed office plan view marked with Size and Measuring Unit, if you’ve got aprocessing yard,please provide us plan view of the processing yard as well. Either Videos or More than Eight photos which can fully display the above places. which can show us the radiation detectoris well operated. The ISO9001 quality management system or RIOS system and other relevant authentication certificates’color photocopy. 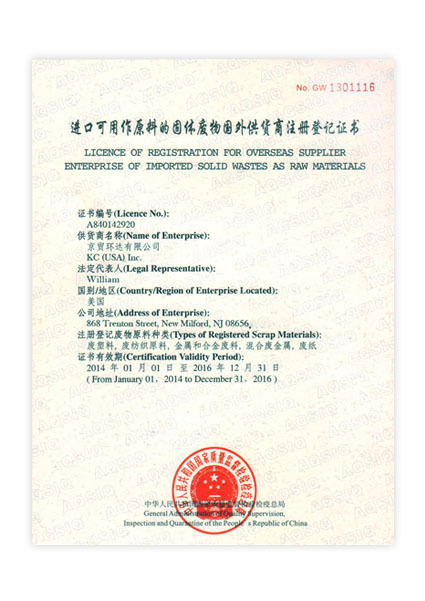 AQSIQ cotton registration service for overseas supplier enterprise.